Veterans seeking information and assistance regarding VA disability claims, benefits and military discharges are invited to attend sessions staffed by legal experts from the Veterans Clinic at the University of Missouri School of Law. 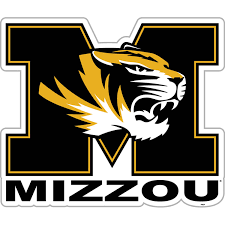 The sessions are being offered as part of the Clinic’s new Tigers for Troops initiative in partnership with University of Missouri Extension. At each Tigers for Troops event, clinic personnel will conduct a general information session focused on VA disability claims and discharge upgrades. Following this general session, clinic attorneys will be available to meet individually with veterans to discuss specific questions. MU law students will be present to assist attorneys and to provide general information. · 8:30 a.m. to noon and 1 p.m. to 5 p.m., Tuesday, Apr. 16 at MU Extension Office in Clay County, located at: 1901 NE 48th Street, Kansas City. Call the Clay County Extension office at 816-407-3490 to register. · 8:30 a.m. to noon and 1 p.m. to 5 p.m., Wednesday, Apr. 17 at TJ Hall, located at 104 S. Main Street, Oregon. Call the Holt County Extension office 660-446-3724 to register. · 8:30 a.m. to noon and 1 p.m. to 5 p.m., Thursday, Apr. 18 at United Methodist Church, located at 2703 Crestview Road, Bethany. Call the Harrison County Extension office at 660-425-6434 to register. Interested veterans can also register for these events by visiting the Veterans Clinic website at law.missouri.edu/jd/skills/veterans-clinic. Registration on-site will be available, as well. Veterans are encouraged to bring with them any military or VA records they have in their possession. This will enable the Veterans Clinic to provide better assistance to individual Veterans.